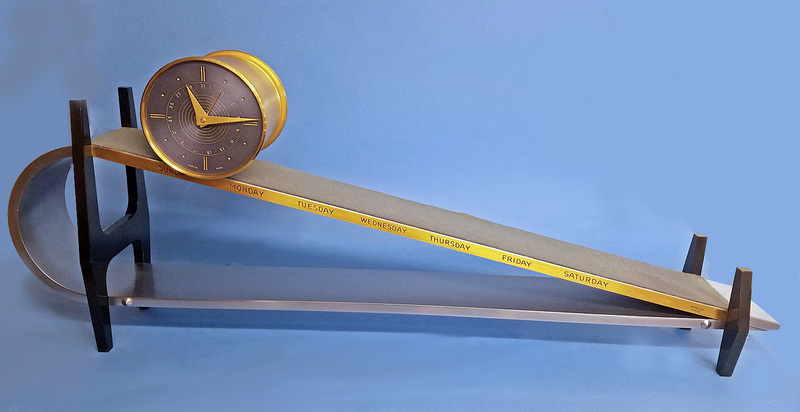 Complicated Mid-Century Incline Plane Clock. 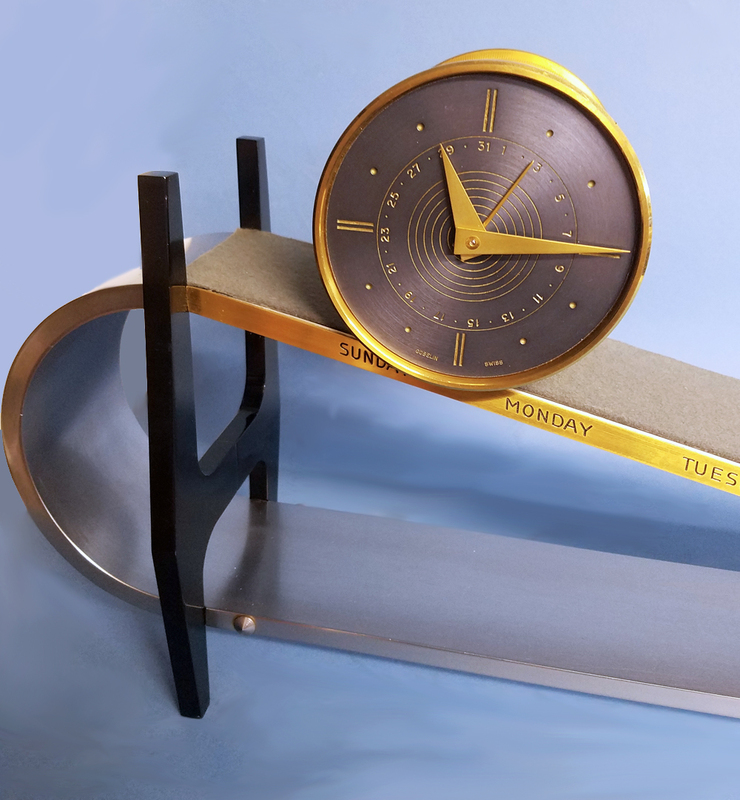 A wonderfully designed Mid-Century incline plane clock that incorporates mid-century design with an unusually complicated movement showing hours, minutes, the day of week and the date. 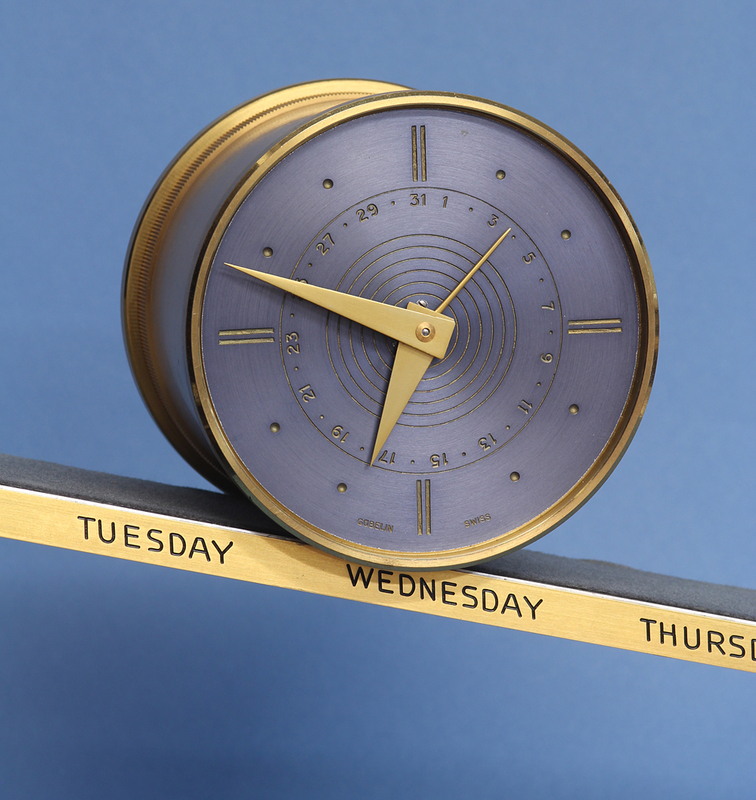 The steel incline frame is supported by shaped enamel stands at each side and carries the engraved gilt-brass seven day calendar scale along the front edge. 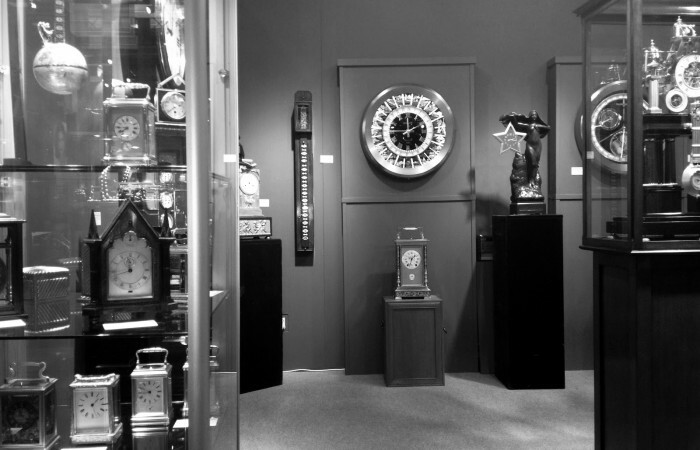 The engraved patinated aluminum dial has stylized marks for the hours, a 31-day calendar chapter, three gilt hands and is signed ‘Gubelin, Swiss’. 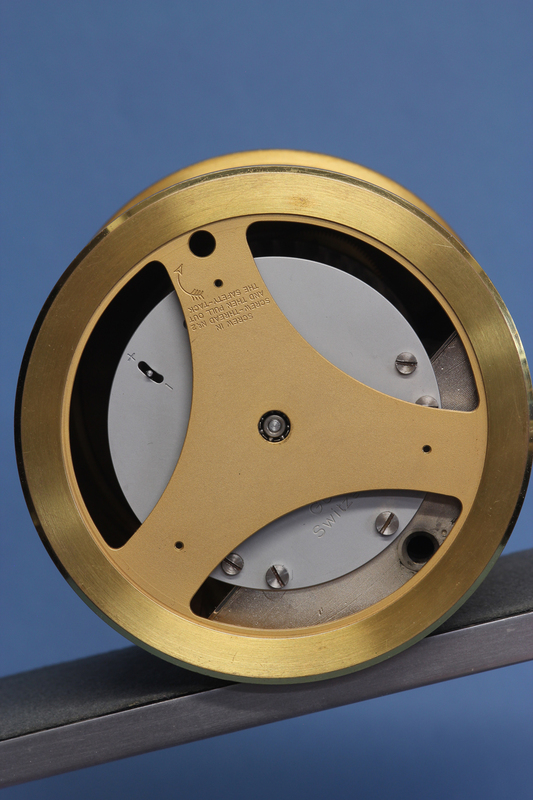 The jeweled high quality 7-day layered movement has the balance wheel planted between the plates, is stamped ‘Gubelin, Swiss, Fifteen 15 Jewels’, has a large lead counter-weight, is suspended in the gilt-brass drum by a central shaft captured on both sides by roller bearing bushings and has the fast/slow out the back. 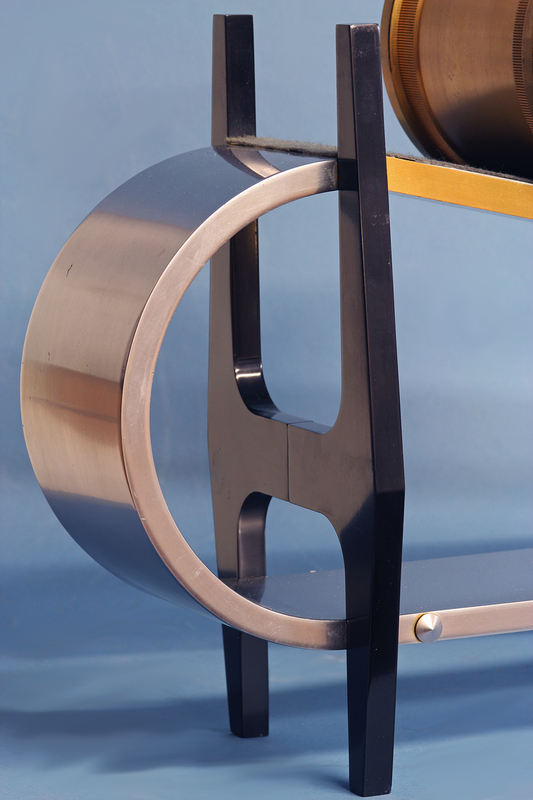 It’s wound each week by placing the drum at the top of the felt covered incline once it reaches the bottom. 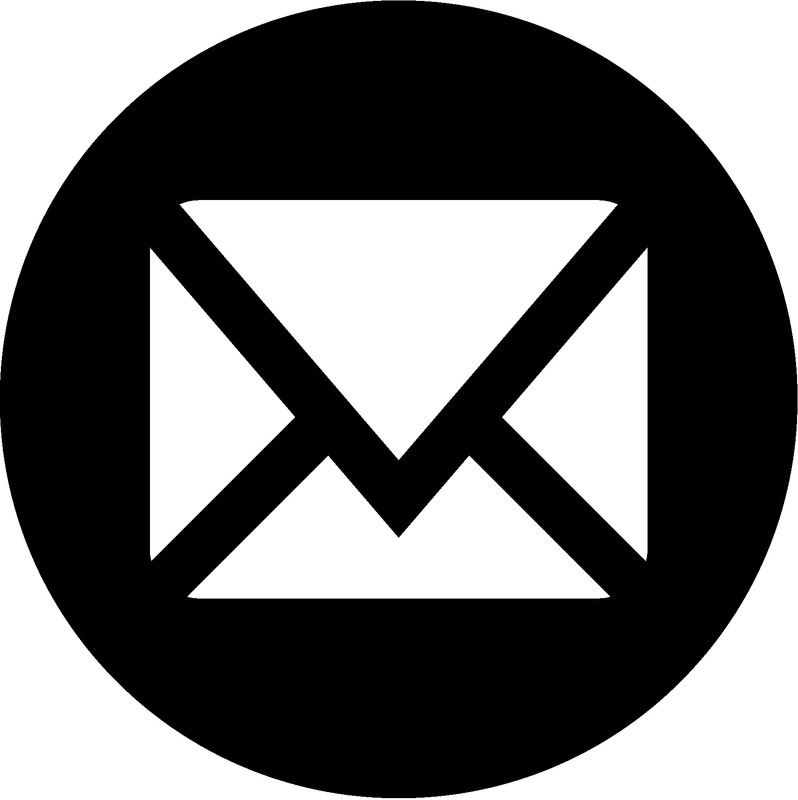 The base is stamped in numerous places ‘6’. 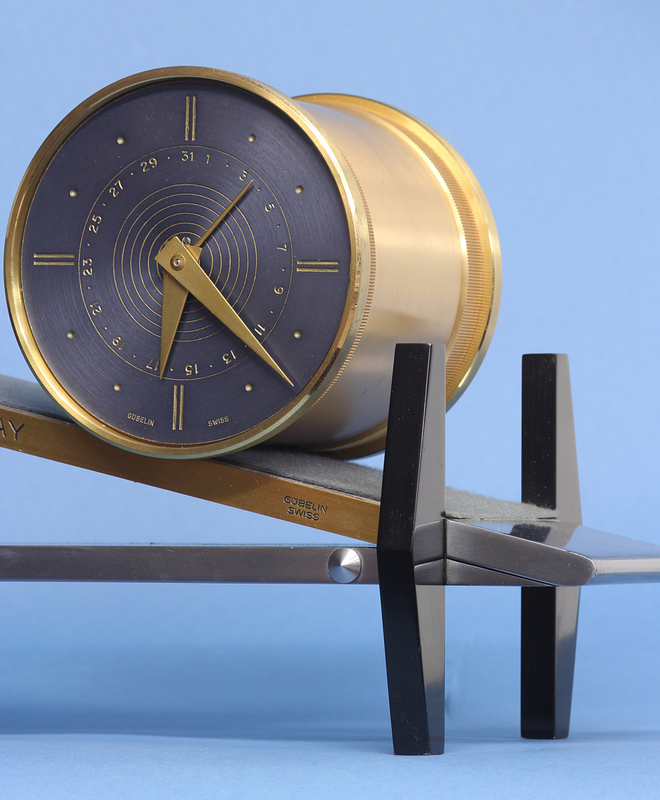 This is the first mid-century incline plane clock we’ve seen. 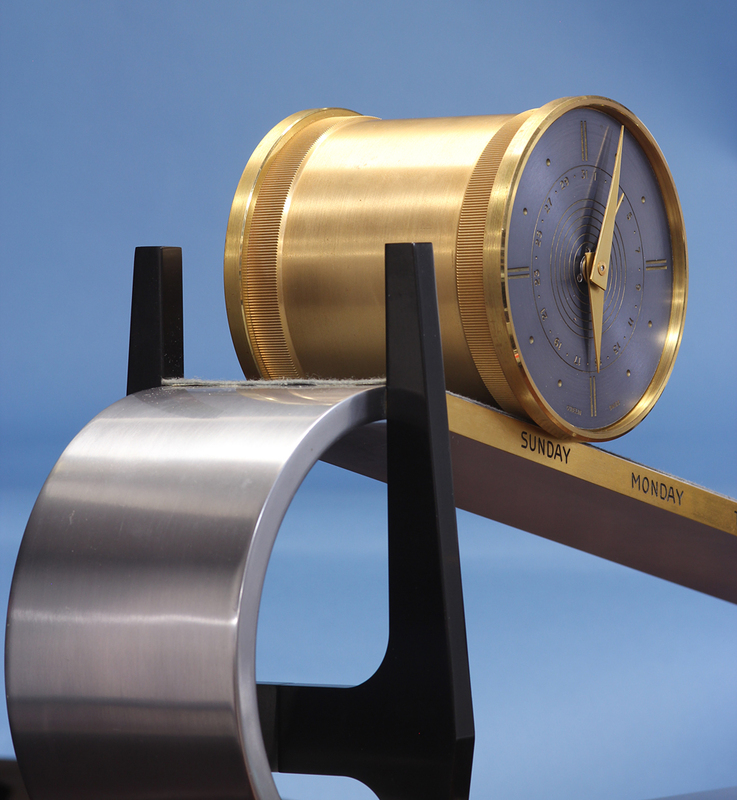 It is also the first incline plane clock to have a minute hand and the first to have a date feature.